Under the plan, East Coast, the publicly-owned company which operates Anglo-Scottish services on the ECML, would take delivery of the new train in July next year. 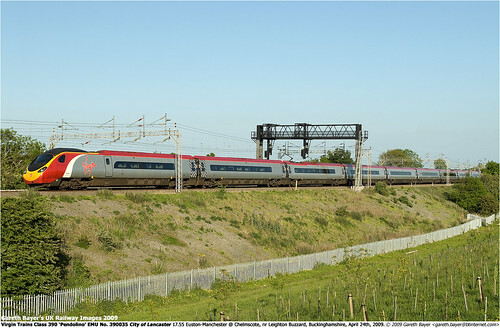 EC would operate the ‘Pendolino’ in daily passenger service, principally between London and Edinburgh, for a period currently estimated to be nine months. The new 11-car Class 390 – which is being built by Alstom at its facility in Savigliano, Italy – forms part of an order for four such trainsets. Alstom started work on the new order in early 2009. The units will be very similar to the 52 ‘Pendolinos’, each of nine cars, currently in service with Virgin Trains on the West Coast Main Line. These train-sets were built by Alstom, at Washwood Heath, between 2001 and 2004 and are capable of speeds of up to 140 miles per hour, although the set will only be operated at 125mph on the ECML. The 11-cars of the new Pendolino will be only slightly longer than trains in the existing East Coast fleet, enabling all current station stops to be utilised by the train without the use of Selective Door Operation. Whilst the new 11-car trainset is being commissioned with East Coast, it would be fully integrated into the EC fleet and timetable – and would be maintained by the Alstom train care centre at Polmadie, in Glasgow. “I’m very pleased that East Coast has been asked to commission the new Pendolino on the East Coast Main Line. Whilst a final decision has not yet been made, if it goes ahead, the train would add extra capacity to our fleet – and we’re sure our customers would appreciate the comfort and facilities that the new Pendolino has to offer. This entry was posted on Wednesday, August 11th, 2010 at 12:16 pm and is filed under News. You can follow any responses to this entry through the RSS 2.0 feed. You can leave a response, or trackback from your own site. 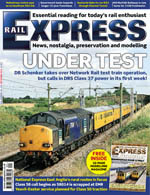 Crew training, lineside electro interfarence testing etc etc etc why ? When they are fully set up certified for the WC ? I vaguely remember a pendolino being tested on the ECML when they were built may have been the southern end too. So long as it is less noisy than the existing sets or a Eurostar that’s not a problem.